Ice Melt There are 3 products. 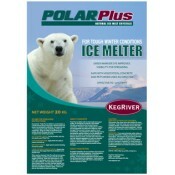 Polar Plus 20kg bag ice & snow melt is formulated to be effective to -22°C (-8°F). Hi-Viz green marker coloring and special chemistry is safer for most metal, concrete & vegetation contact*. More effective and less damaging than typical road salt. 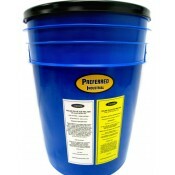 20kg (44lbs) of fast acting ice melt crystals in durable plastic pails with resealable lids. Hi-Viz green marker coloring and special chemistry is safer for most metal, concrete & vegetation contact*. More effective and less damaging than typical road salt. Quick and consistent dispersing of salt and ice melt is important. 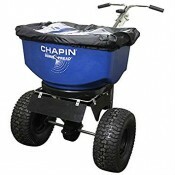 This Chapin brand spreader is USA made, professional quality and heavy duty, specially built to handle salt and ice melt crystals.